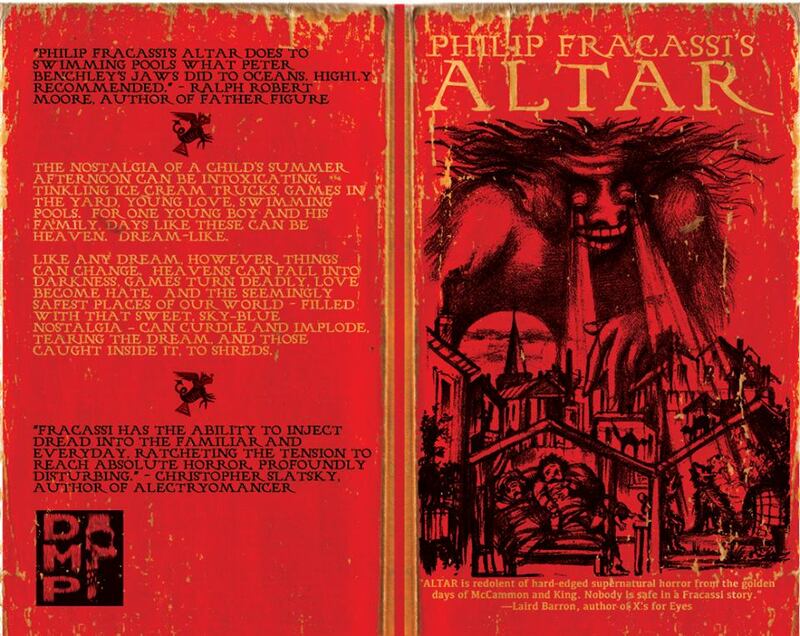 I am extremely excited and humbled to announce the upcoming release of my new horror novelette — ALTAR — which will be available in an unlimited paperback edition from Dunhams Manor Press. ALTAR will be released on April 8, 2016 and will be available via the Dunhams Manor Press website and through Amazon.com. ALTAR is a story about a young boy, his sister and their mother, who decide to visit the community swimming pool for an afternoon of leisure and play in the warm summer sunshine, only to have things go… well, it is a horror story, after all. The cover art, by the terribly gifted Matthew Revert, is below. And, now, the cover. Thank you so much for allowing me to share this with you. I could not be more thrilled to be releasing this creature into the world, and I genuinely hope, from the depths of my heart, that it does nothing short of terrify you.